… put it on and they will come, make it groovy and the people will groove on all weekend. As the summer festival season rolls to its end, those in the know head over to one of the best little festivals around for one final blowout before the nights close in. 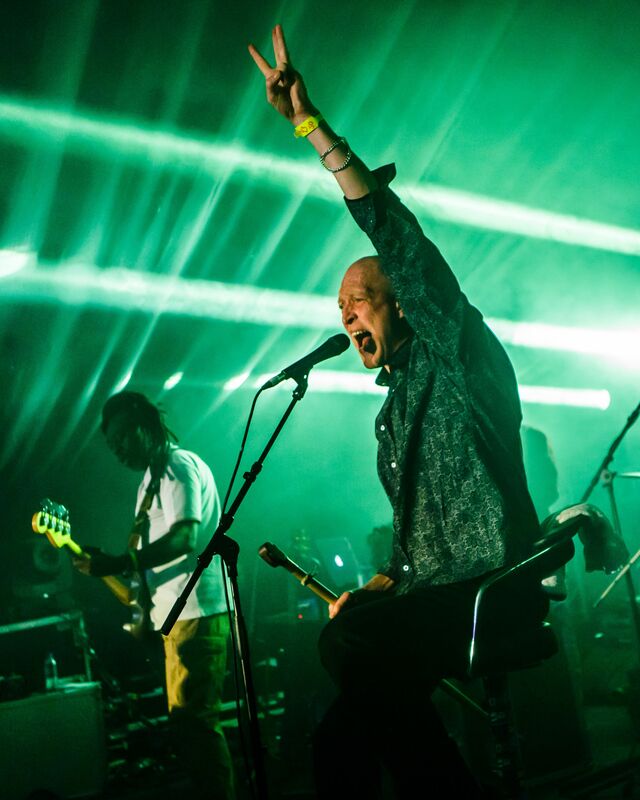 Off The Tracks festival takes over Donington Park's Farmhouse Hotel for 2 ½ days where psychedelia, folk, dance, reggae, dub, and a host of other genres are combined together to produce a mixing pot of fun, energy and dance. 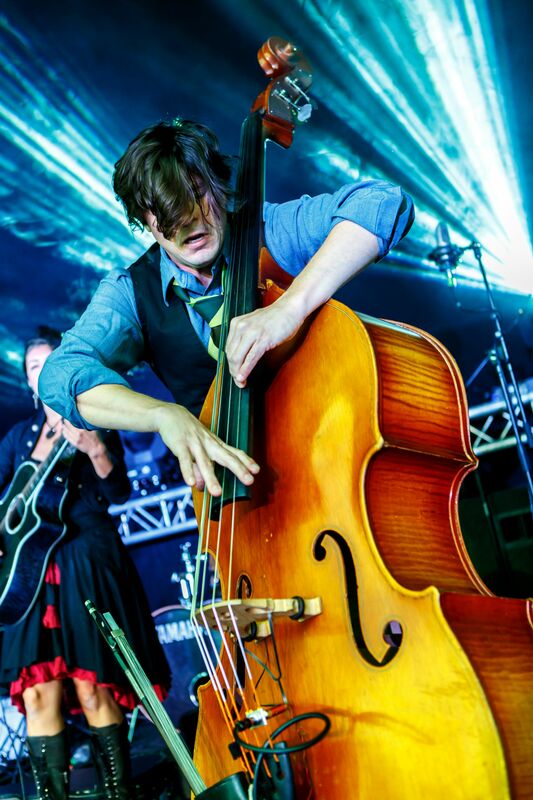 Spread over 5 stages ranging from the Main Marquee to the cosy Black Barn the entertainment also includes jam sessions in one of the many indoor spaces around the bar. The main thing that sets the festival apart from others is the feel and vibe created by organizers and punters alike; there are no strangers here just friends you haven’t met yet. Friday’s entertainment kicks off early evening and you really have to hit the floor dancing and get into the groove as time and space get really warped here, and the festival just seems to fly by. 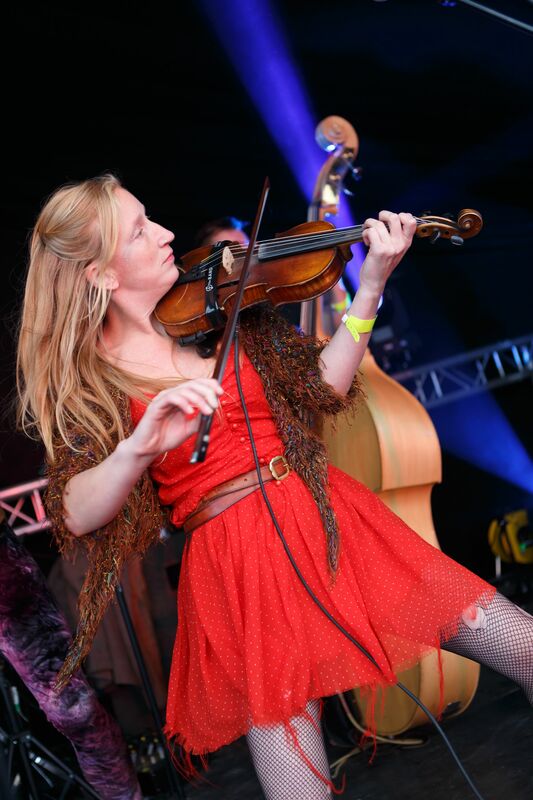 Given the stage choices we aimed for the main marquee for a bit of ‘4-Square’, a feisty 4 piece folk band who mix trad folk with a fusion of latin/jazz and produce a highly infectious sound that draws you in. They really do take you round the styles with some fine fiddle work from Nicola Lyons and some great 3 part harmonies, definitely something to build the energy in the crowd. The tone changes around totally now as the folky sound is replaced by the punkier space rock sound of my band of the festival, ‘Here and Now’, who’ve been around since the early 70’s in various guises, and most probably played every free festival going. They are here tonight with the latest line-up featuring the only early member Keith tha Missile on bass and vocal duties. As the tones of ‘What you see is What you are’ glide around the marquee you are instantly transformed and taken by the music to a time when nothing else really mattered. Tight bass lines and spacey synths blast through ‘Jacques Cousteau’ and it shows that great tunes are timeless, and seeing them performed tonight was really a highlight for me, ‘So Glad you’re Here’ - well I certainly was. 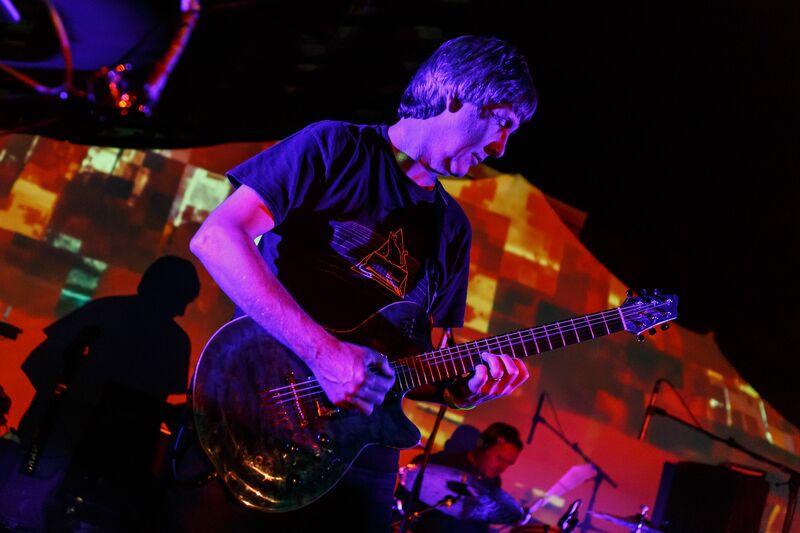 20 years ago ‘Toby Marks’s Banco De Gaia’ released the critically acclaimed album ‘Last Train to Lhasa’ and this year he is touring with a new band line-up to celebrate the fact. They have graced the stage of OTT on numerous occasions bringing their ambient dub rootsy mix to the more than willing crowd. The marquee throbbed to the beat as the sweaty energetic crowd grooved to the rhythmical sounds. 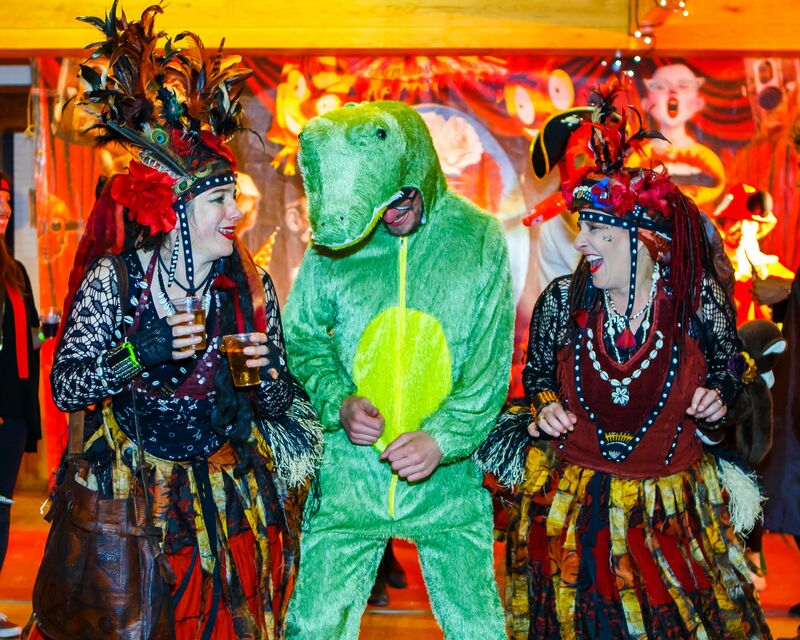 With the entertainment heading into the early hours the choices were many, Leatherat in the barn, a DJ in the introducing stage, but the one we opted for was some fine folk rock with the awesome ‘Steel Threads’. A wise choice as with weary legs we could finally have sit down and take in some great acoustic folk rock. Saturday morning brings us a glorious Indian summer only disturbed by the constant planes taking off and the drone from the race track next door, but we are not letting it get to us as wander round the lovely site. Showing how diverse the festival is we have a belly dancing session (ladies only) a family percussion workshop, and the fabulous ‘Black Pig Border Morris’ crew who put on a dark yet amazingly colourful show in the courtyard. With a number of changes to the bill today it seems that a lot of the blues has dropped off which was slightly disappointing, but hey that’s the nature of music festivals. So we grab something a bit different to start the day, ‘Ushti Baba’, are a ragtag bunch of musicians with a great gypsy folk sound, who not only fill the air with hypnotic fiddle playing, but also fill the stage with the band members. 8 in total that bring together fiddle, trombone, squeezebox, banjo, clarinet and others to create great lively complex rhythm’s, shown in their title track ‘Ushti Baba’ which also throws in some beatbox - just for completeness. Now heading over to the Black barn for what turned out to be one of the real finds of the festival, ‘Isembards Wheel’ are a great young English folk band with that ‘don’t try anything flash’ - they just write and play great songs; ’Skylarks’ which features some great mandolin and Alexanders great vocals and acapella track ‘Diggers Song’. They have a great banter with the crowd in the now full barn, which shows how good their music is. 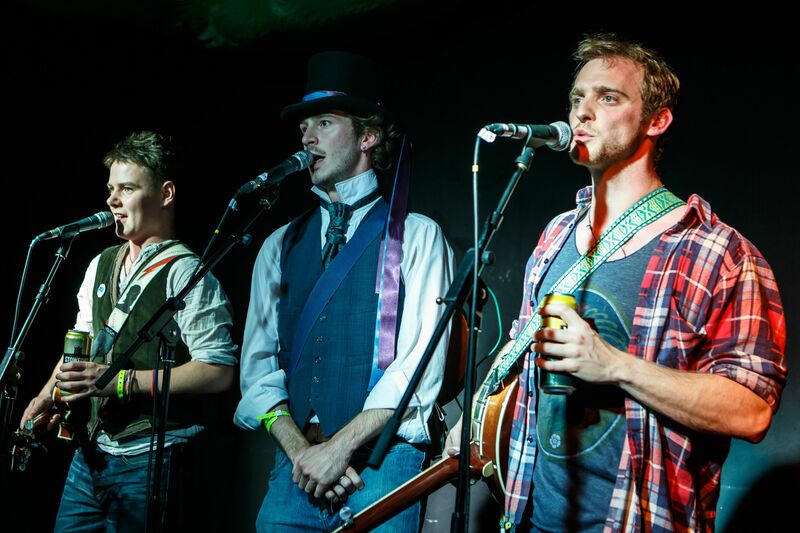 Popping in a quick cover of ‘Wagon Wheel’ they go down a storm and certainly get my vote. 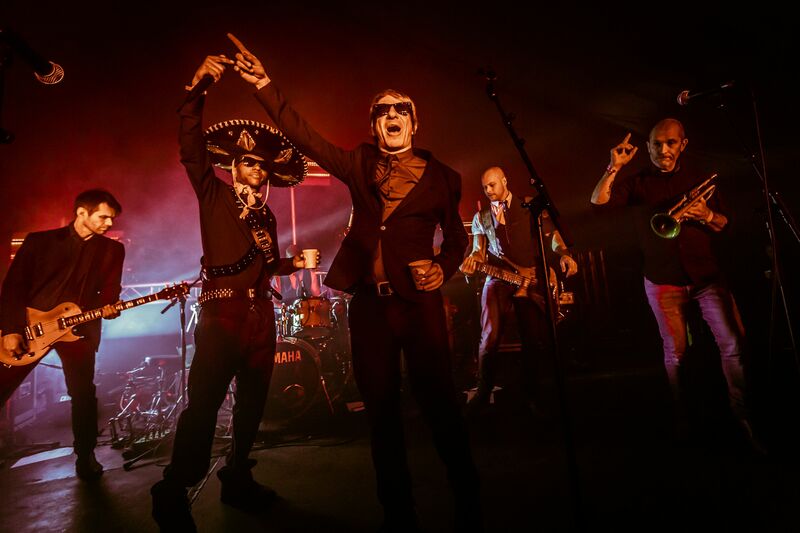 The evening session in the marquee is a lively affair that kicks off with ‘Fat Digester’ who are followed by what seemed to be the crowd favourite set of the weekend ‘Dub Pistols’. Dub meets Hip-hop gets the crowds up as Barry Ashworth and Seanie Tee command stage centre, working the beats and crowd as they bang out a great set. ‘Bad Card’ and ‘Running form the Thoughts’ kick off proceedings before a number of tracks from the new album ‘Return of the Pistoleros’. They also toss in a gangsta get down version of Terry Halls ‘Gangster’ which really does ignite the whole crowd, if ever a band nailed a set then this was it. Could a set like that be followed, not by mere mortals, but certainly ‘Dreadzone’ gave it their best shot, and pulled off a great set that only they could. Having seen them twice this year previously, and each time they played standout headline quality sets, I knew what to expect - and MC Spee, even though seated, still had more passion and energy than other band I had seen. This was certainly an energetic end to such a high energy evening of music that even the worldliest reveller would be feeling weary by now. So to calm things down and chill out for the rest of the evening/early morning we ended up with a late jam session in the bar that included the double bass player from Caravan of Thieves, before he left to join the rest of the band for a full session - which went onto the early hours of the morning. Sunday morning haze and the eyes adjust to yet another glorious day, there are plenty of party refugees still wandering around from the previous night looking for the next beat to hang onto and extend the festival as long as possible, but for most it’s time to pack up and head off until next year. For those lucky enough to hang around till the afternoon there was a great set by ‘Martin Barre’ to end the whole festival. Off The Track has yet again thrown a great party and shown the rest how to do it right, … put it on and they will come, make it groovy and the people will groove on all weekend. Article and Photography by Simon Dunkerley.